Do you love the title to this entry as much as I do? I never thought I’d be the one to type it, but that is indeed what happened last Saturday. 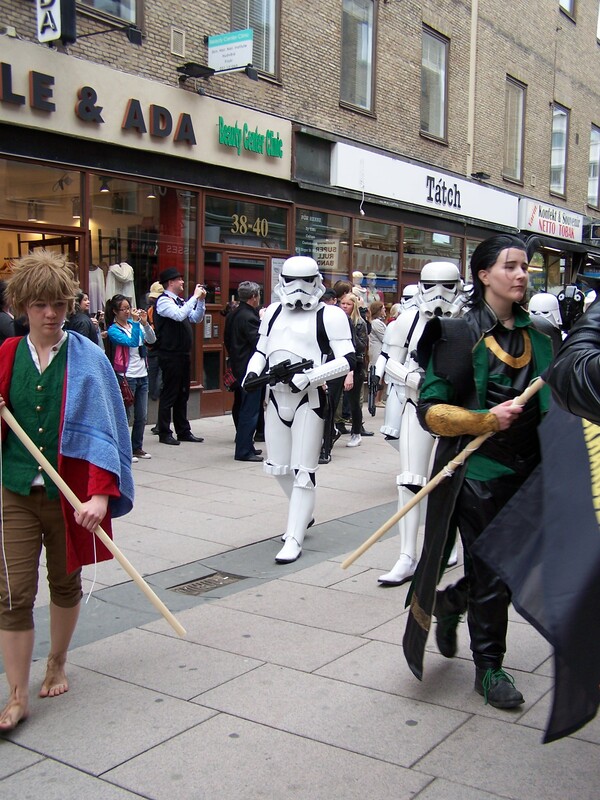 When a Science-Fiction book store switched location of their store, the owner decided to celebrate big by having a parade go from the old book store to the new one. The store was almost empty when my companion for the day and I arrived at the new store. 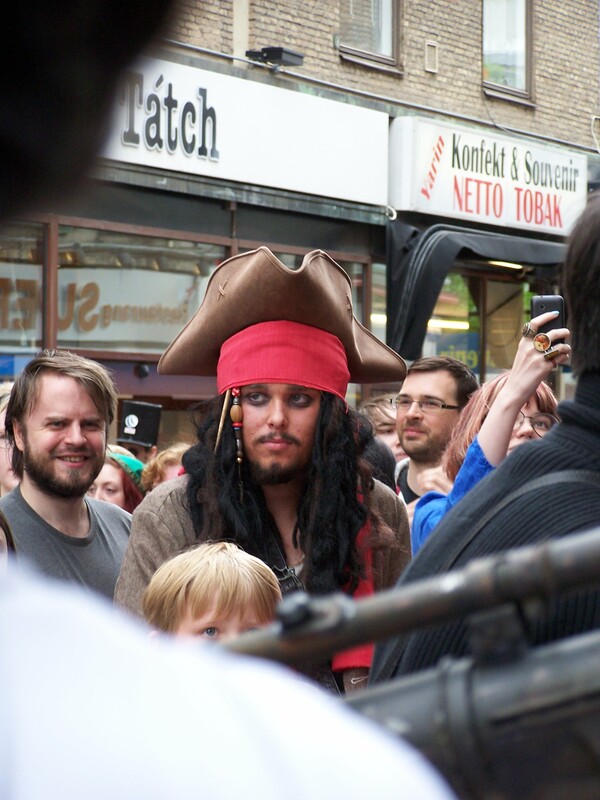 It was a good thing too, because it gave us a chance to sneak into the store before the parade arrived. We didn’t stay there long, but long enough to catch a peek of the entrance floor. 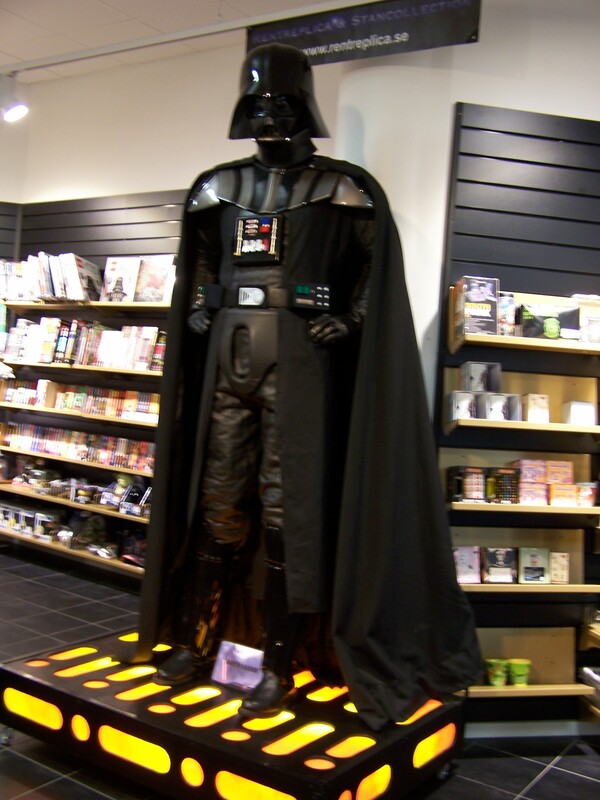 A large Darth Vader exhibit statue takes a lot of space near the check-out counter. One of the main reasons for why I went, is my weakness for Doctor Who. 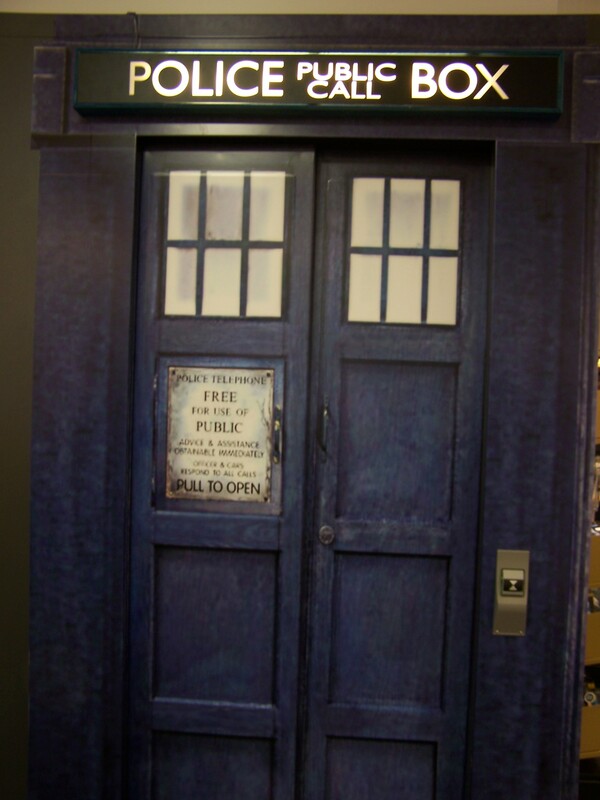 When I heard that the elevator in the store was a TARDIS, the time machine that the doctor travels with in the TV-show, I had to see it for myself. A TARDIS for an elevator. It didn’t take more than a minute or two before we heard the parade music become louder and louder. 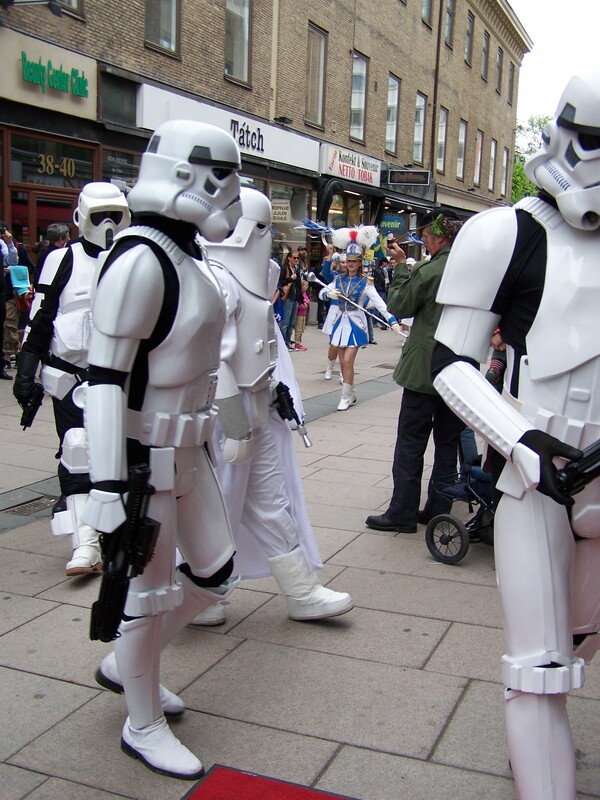 Then we saw the first few storm troopers appear a couple of meters away. The storm troopers are coming! Indeed they came and, just like in the movies, they came to conquer. They made us back away from the entrance to line up outside the store. 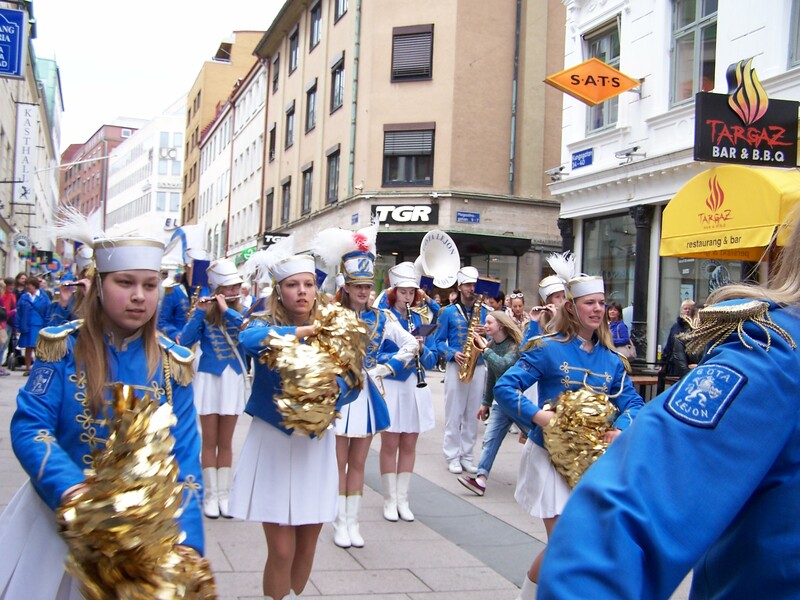 In the meantime, the band and the cheerleaders were taking place behind us, playing music and dancing. The band and the cheerleaders played music and danced right behind me. 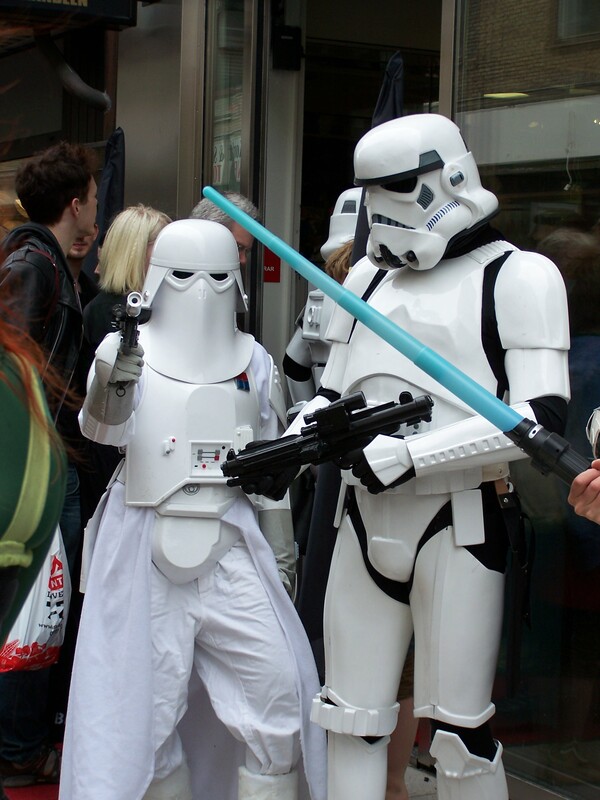 Too bad the storm troopers stole the show. Boba Fett lined up with the storm troopers. 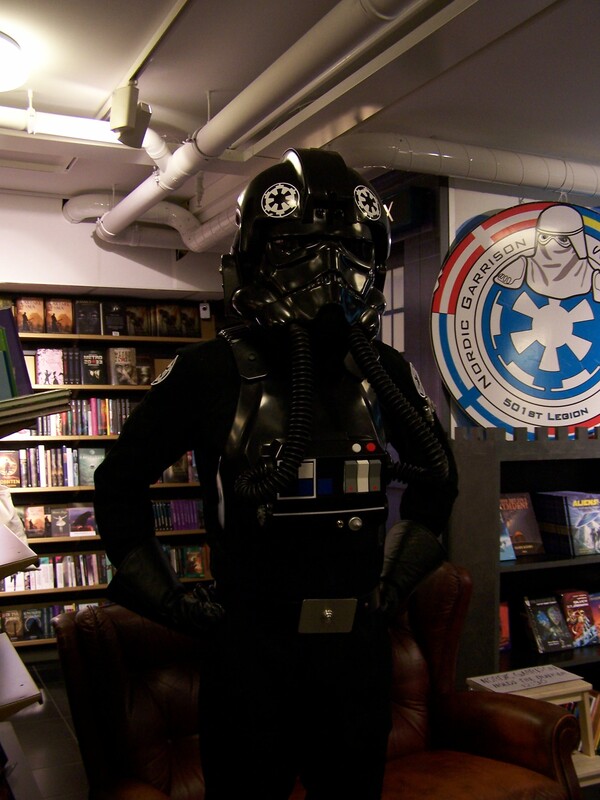 No flight-hours for this TIE fighter pilot. This snow trooper commander is ready for action (and photo-opportunities)! 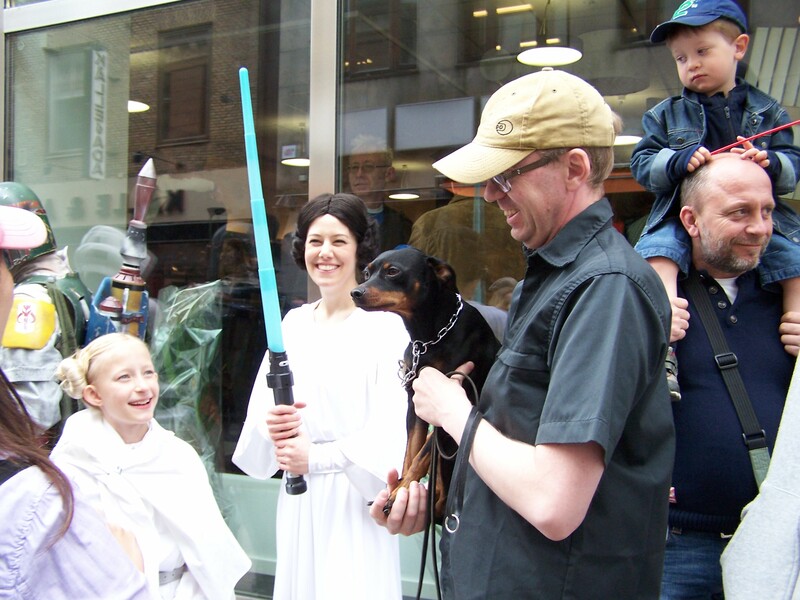 … and Princess Leia, who got her attention stolen by a dog. Princess Leia, her blond “clone” and a cute dog. Their reason for taking over the place? Photo-ops (duh)! They lined up to get their pictures taken by eager fans and photographers. 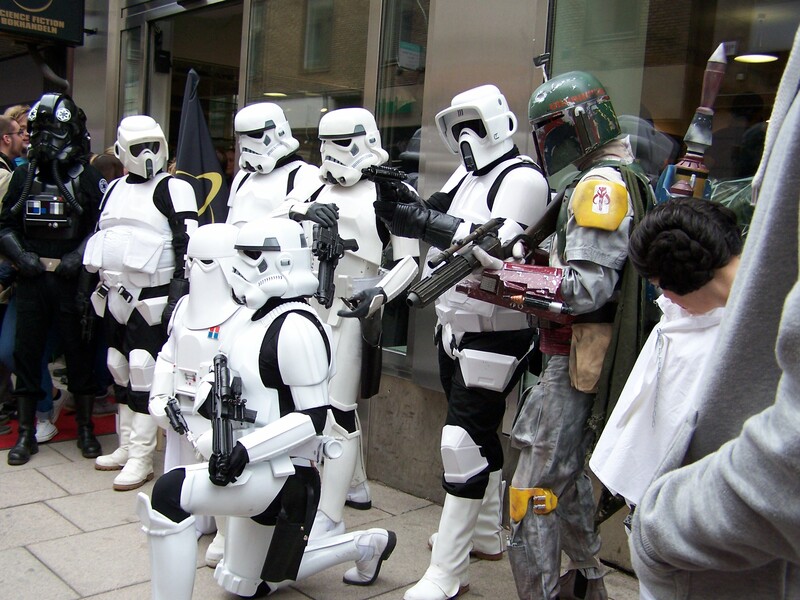 Soldiers of the empire and Boba Fett showing off their good sides to eager fans and photographers. I almost got shot by one of them! This storm trooper insisted that I took his picture. One of the several doctors who made my day! 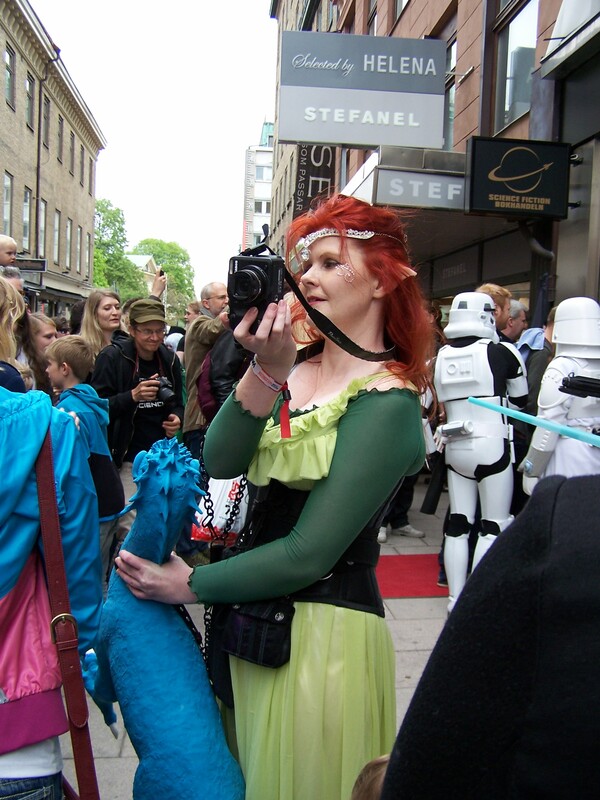 A dragon AND a camera? This modern elf sure got her hands full and my respect! 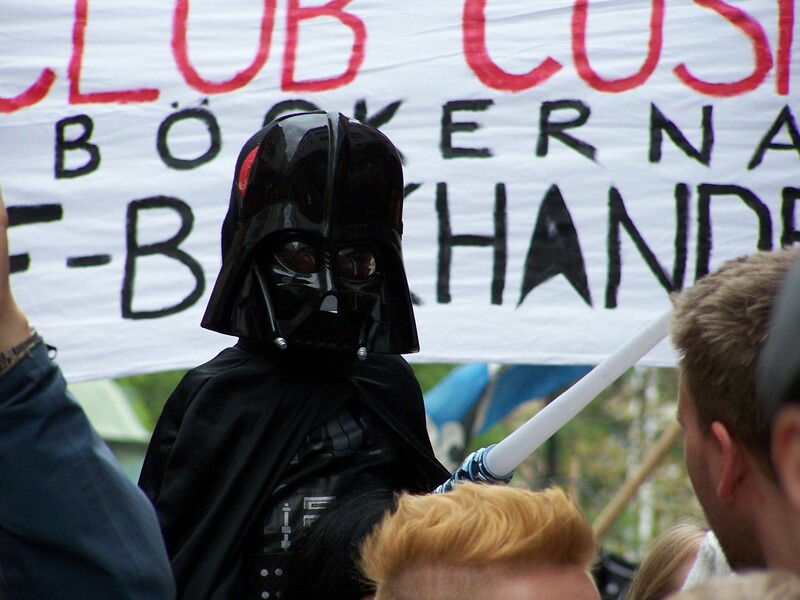 A small Darth Vader is still a Darth Vader. 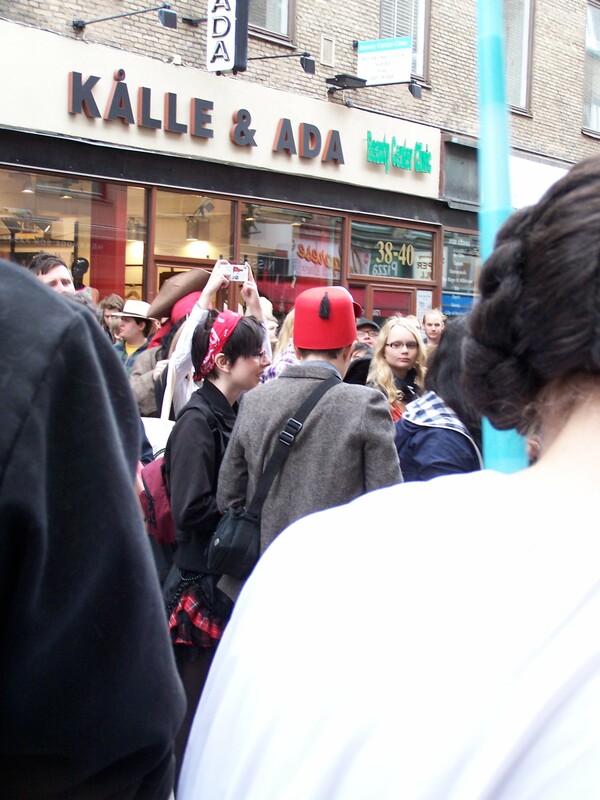 … an Indiana Jones, a Gandalf and several other characters I couldn’t identify. There were lots of people wearing towels too, for some reason. I thought they were fans of Hitchhiker’s Guide Through the Galaxy, but it turned out it was Towel Day that day (same thing, I suppose, since the idea for the holiday came from the love for the book series anyway). Inside the store, lines were already forming and not just for the check-out counters. People wanted to ride the TARDIS-elevator! 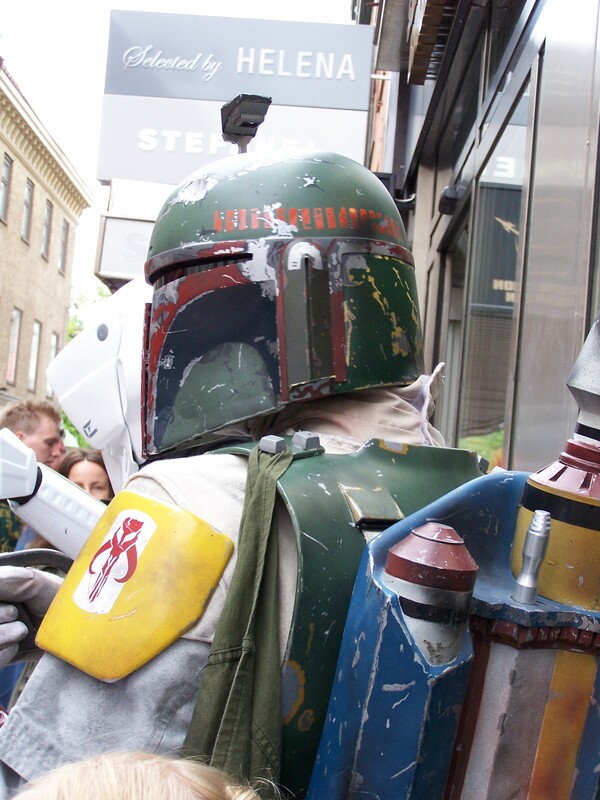 Boba Fett is ready for his close-ups! 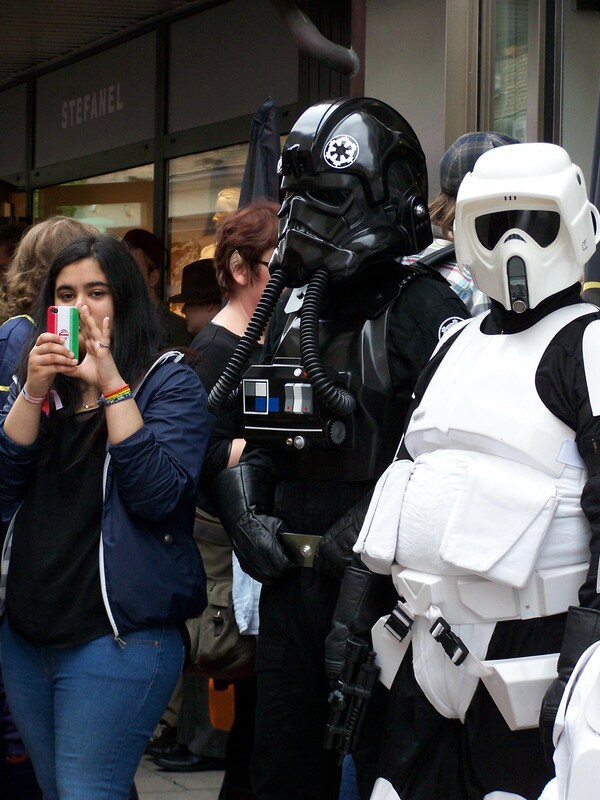 … the TIE fighter pilot waited patiently for his turn. The TIE fighter pilot standing awesomely by. 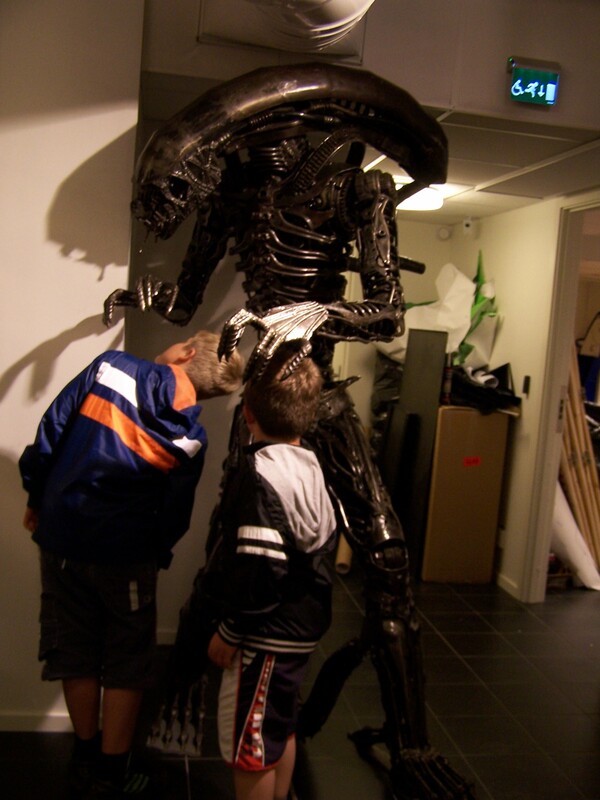 About a quarter of a meter away, some kids were having their picture taken in front of an alien statue. 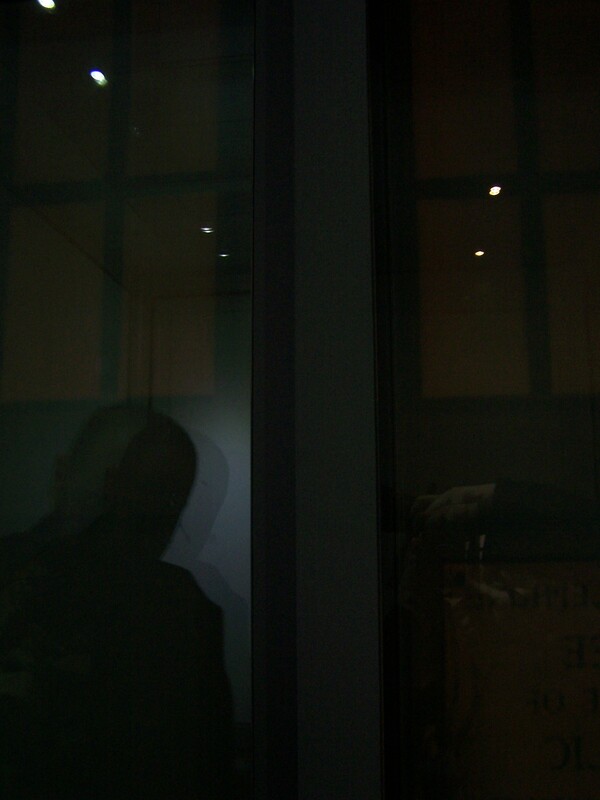 On the way back to the entrance floor, we decided to take the stairs to avoid the crowd coming out of the elevator. In front of it, we were greeted by Gollum. 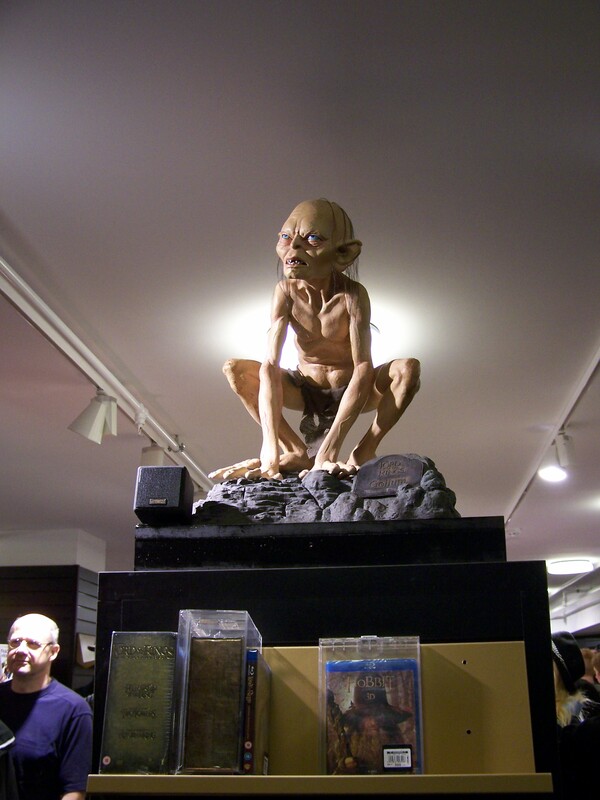 Gollum sat on a shelf, saying he wanted his precious and other phrases. 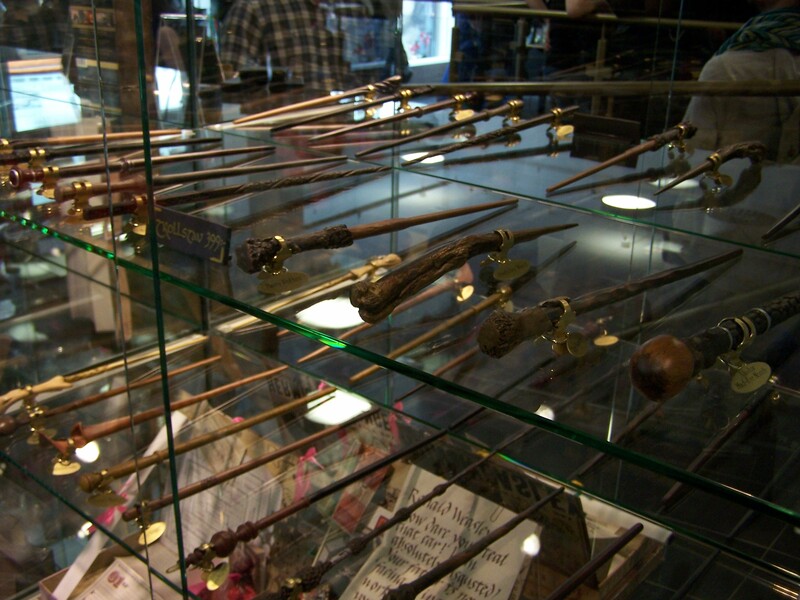 Wooden magic wands for sale. Sadly, there wasn’t much more to the event than that, which was just as well. It was getting really warm and crowded inside, so I knew that it was time for us to go. So, what’s my verdict of this store relocation party? Well, I got threatened to death by a storm trooper, record while Princess Leia danced with a storm trooper, ride a TARDIS, got to see Boba Fett outshine a TIE fighter pilot, got to shake hands with the doctor (an acquaintance of mine was cosplaying as the doctor from Doctor Who) and I got to see Link from The Legend of Zelda! 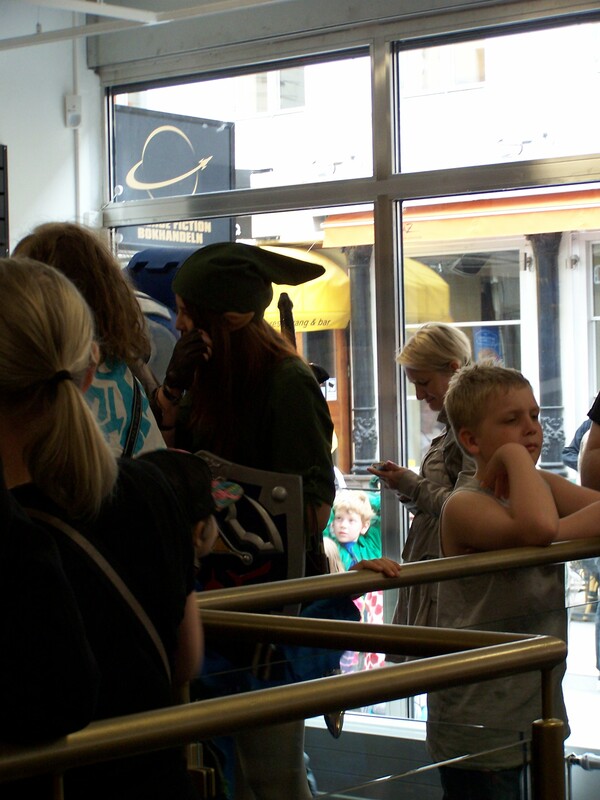 A cosplaying Zelda-fan came dressed as Link. This event gets a 4/5. 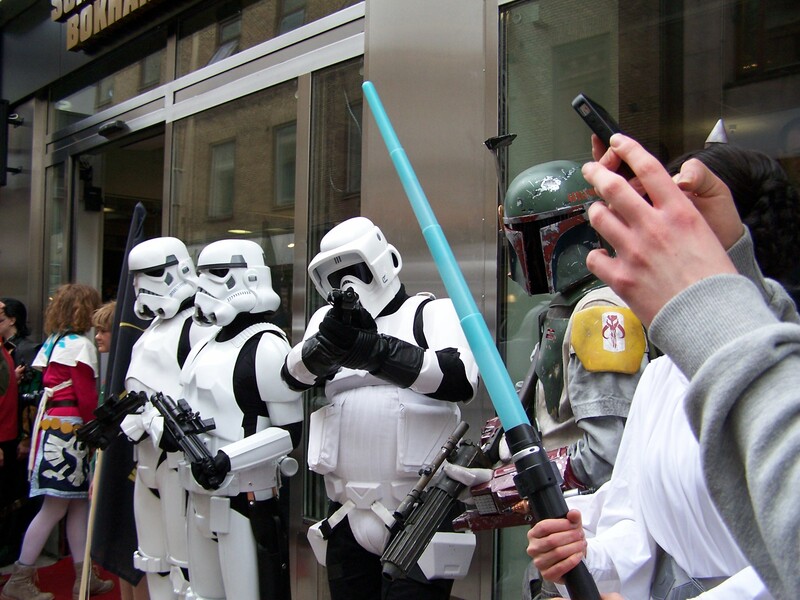 Sure, the band and the cheerleaders got the attention stolen by the Star Wars cosplayers, but several of my dreams and more came true for me one way or another that day. If there were any discounts for those who didn’t get a special invite to the opening, I’d have given the event top score right away! 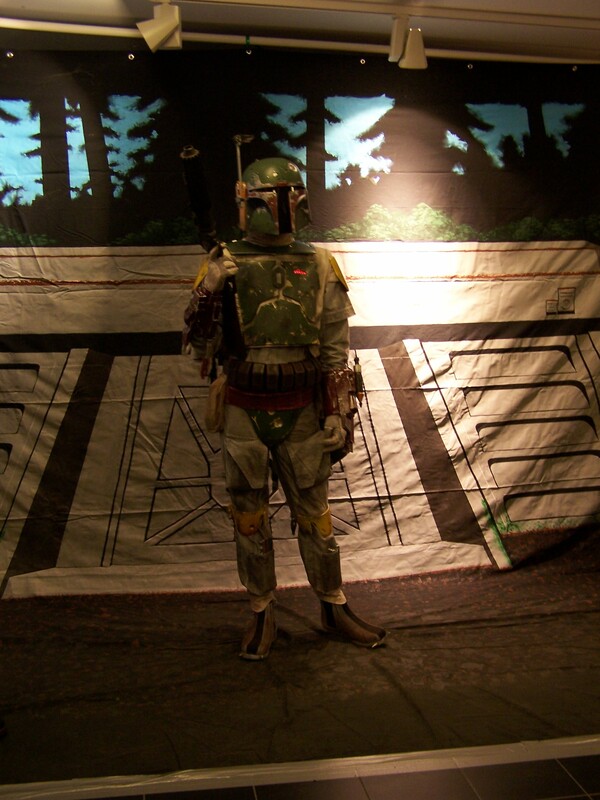 Tags: Boba Fett, book store, cosplay, Doctor Who, event, Leia, parade, princess, Princess Leia, Sci-Fi, snow trooper commander, Star Wars, store, storm troopers, TARDIS, TIE fighter pilot | Permalink.